Sarah Owen Bigler hoped to be in and out of the Target store quickly. With a toddler suddenly fussing in the cart and a young daughter in tow, she found a line with just one person it. But her pace slowed quickly and she became slightly annoyed when she saw the elderly woman ahead of her who was slowly counting change to pay for her items–one by one separately. “Part of me… was frustrated with this woman and the inconvenience she had placed on me, but then I watched the young employee with this woman. I watched him help her count her change, ever so tenderly taking it from her shaking hands. I listened to him repeatedly saying ‘yes, ma’am’ to her. Never once did this employee huff, gruff or roll his eyes. He was nothing but patient and kind,” recalled Sarah in a Facebook post Wednesday. Then, she noticed her daughter, Eloise, who was watching, too. 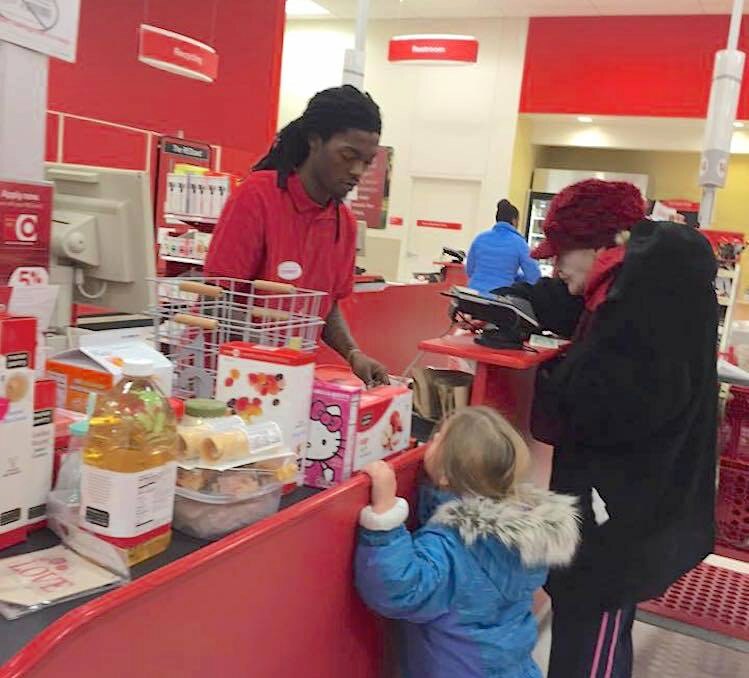 She snapped a photo on her phone to help bring praise and credit to the ever-patient employee, who had actually been working at the Glendale, Indiana store for only a few days. Target has said he will be receiving a gift for his outstanding customer service. 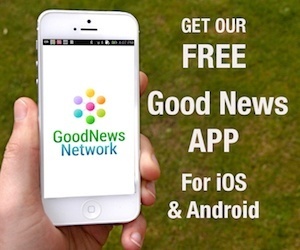 MULTIPLY the GOOD… Share This.